Miss Transgender UK loses her crown. 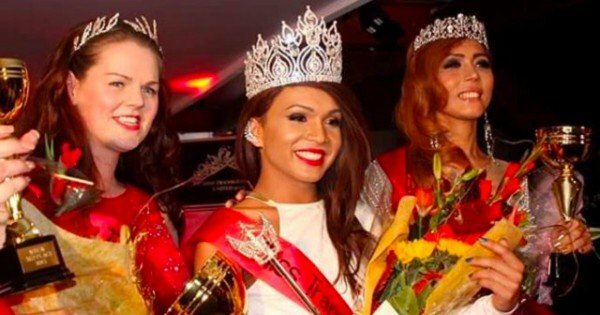 Pagent queen stripped of her crown for "not being transgender enough." Jai Lotto was the UK’s first ever Miss Transgender in 2015. But now, she’s had her crown taken away because she has is “not transgender enough”. The organiser of the beauty pageant, Rachael Bailey, has said that they were shown footage of Jai in boxer shorts, which makes her a drag queen, and not transgender. The model also features in a BBC documentary, where she can be seen working out in a t-shirt and shorts. Jai Latto after she won Miss Transgender UK 2015. Image via Instagram @dara_jai. The crown, and prize of $20,000 in surgical procedures has now been handed over to another contestant, Daisy Bell. Latto has criticised the pageant and its organisers for forcing the female stereotype of long hair, tight clothes and lacy underwear onto transgender women. Latto has said that she is on hormones to become biologically female, and plans on having gender reassignment surgery in Scotland. Jai Latto talks about the normalisation of transgender beauty.